Board games did not come into my life until I was in my early twenties. I had some experience playing Monopoly when I was a little girl, and there were a few versions of Snakes and Ladders, but I did not discover the variety of board games available until my best friend got a box of Carcassonne for her birthday. All of a sudden, instead of gossiping about fashion and guys, we were submerged in a world of medieval castles. It was a very successful party! Since then, I have been adding to my own collection of board games. I have found that, while I enjoy a good strategy game, my favourites are games that require creative thinking and interaction between players. I know a few adults who are up for a good drawing or acting game, including my husband, but children are always especially excited to play. So I started thinking about board games from the educational point of view, and I realized that many of them have great potential for developing verbal fluency, extending vocabulary, reading and writing skills, problem solving, imagination and creativity. 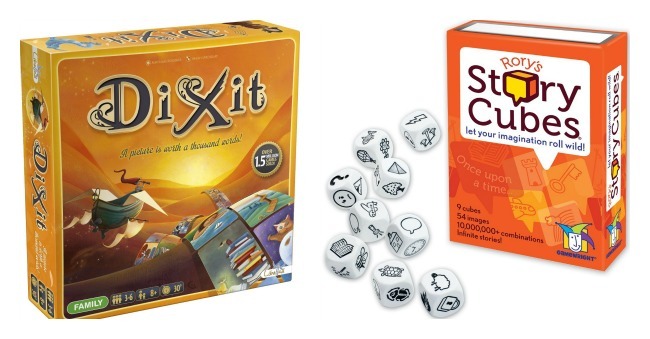 Here is a list of the best board and card games for exercising creative thinking – both in kids and adults! They do not target kids specifically, but are family-oriented, so kids and adult alike will enjoy playing them. For some of them, you may have to adjust the rules if you want to involve the youngest members of the company, but most will be good for ages 7+ and great for 10+. 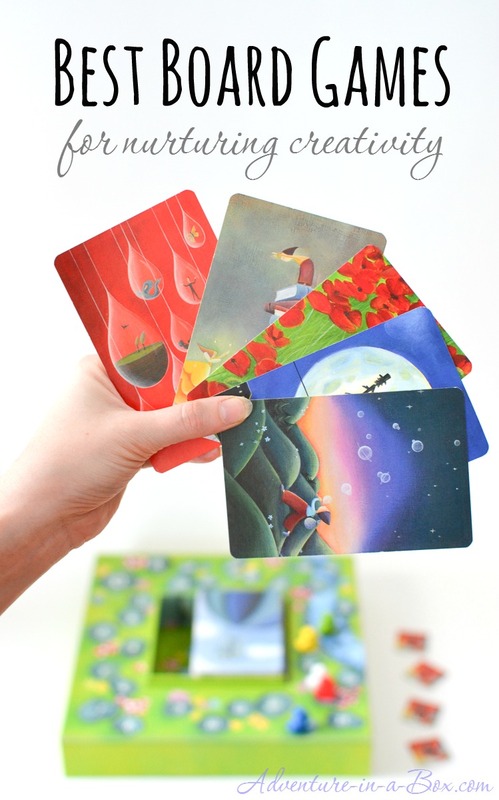 These games would delight children who are natural storytellers and are good with words, but they would also be good for those who have difficulties with using big words and could get some fun practice. 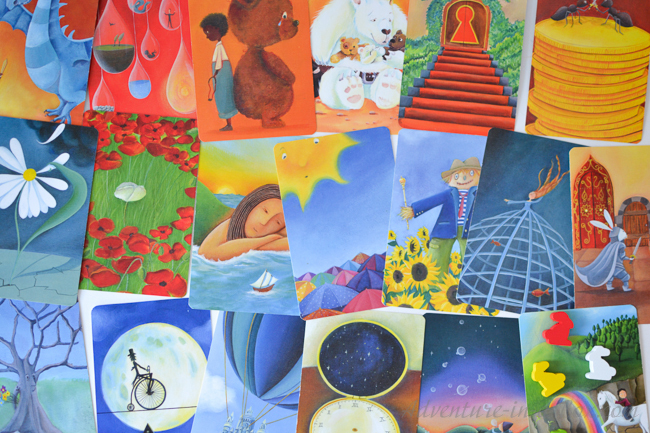 – Dixit (recommended age 7+) features 84 cards with whimsical paintings, full of symbolic meanings and allusions. Usually, each session of this game starts and ends with players, looking through cards and marvelling at the imagination that produced them. In my opinion, it is one of the most beautifully designed board games! The rules are simple: while looking at a card hidden in their hand, one player invents a description for it and says it out loud. It can be a word, or a phrase, or an association with a popular cultural symbol. Let’s say, a player describes the card with the sun in the centre of the picture above with the word, “Surprise.” Other people check their cards and find one that can be in some way “surprising” as well. All the players put their chosen cards face down, mix them together and then open them all, trying to determine which card was originally described as “surprise”. Here is the tricky part of this game: you do not get the points if no one guesses your card right, but you also do not get points if everyone does. So when playing it, you need to choose your words wisely: you do not want to be too ambiguous, but you also do not want to be obvious! Breaking your head over what the artists meant when painting certain cards is a fun exercise as well! – Rory’s Story Cubes (recommended age is 7+, but I would not hesitate using it with much younger children) comes with nine dice in a box. With each side of a die featuring a little image , players get 54 images to work with. There are no set rules, but using the images, players can create elaborate stories together or by themselves, use dice as an ice-breaker at a party, or just as a generator for creative ideas. Children will probably enjoy this simple game more than adults, but the later can have a creative workout as well. The size of this game is a big bonus! You can easily take it on a trip in your pocket. 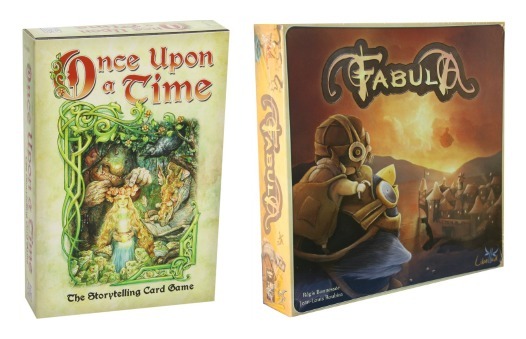 – Once Upon A Time (recommended age is 7+, but younger children can play with simplified rules) is similar to Rory’s Story Cubes, but the rules are more defined and elaborate. While Rory’s Story Cubes have images that can be interpreted freely, this game consists of cards with pictures accompanied by words, and each word has to be used as a key element of the plot. In addition to plot cards, there are some “happily ever after” cards that determine the ending of the story, as well as interruption cards that allow you to take over the story. As you can tell from the name, this game is largely inspired by fairy-tales, so with the abundance of queens, curses and fairies, the course of stories is somewhat predetermined, and it is more difficult to give the plot a modern spin. The language is suitably archaic at times, so children will likely need to have a dictionary or a helping parent close-by. 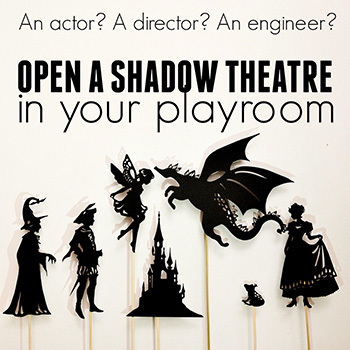 This would be an excellent game for studying fairy-tales with kids, and adults can have fun, adding some irony to familiar plots. – Fabula (age 7+) is similar to both previous games, however it is even closer to the series of Choose-Your-Own-Adventure books you may remember from the 80s and 90s. In the books, after every few pages, the reader would be presented with a choice of actions for the main character, each of which would lead to different pages and new choices, and eventually to various endings. Similarly, the game includes several stories with different choices. There are also a few main characters, or rather a few players competing to be main characters of the story. There are, again, cards with images that have to be used in weaving the story. However, unlike Once Upon a Time where coherency of the tale is not strictly judged, here players have to present their arguments for making choices convincingly and persuade others to follow their suggestions. This game offers marvelous practice for children in debating and reasoning. The weak point of the game is that it cannot be played endlessly: six pre-written stories will sooner or later get old. 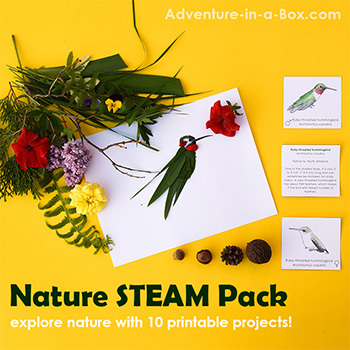 – Magnetic Poetry Kit (recommended age 4+ to 7+ depending on the edition) contains 300 magnets: each of them has a word on it, and they can be used for making poetry. Some words are for constructing grammatically functional sentences – the examples would be articles “a” and “the” or endings “s” and “ing”. But many words offer frequent poetic themes – spring, life, eternity, moon, stars and so on. 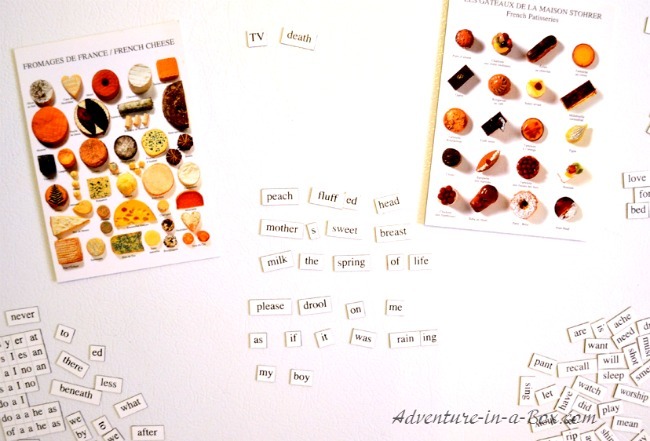 It is not a competitive game, but a rather meditative one – when you have a kit of magnetic poetry on your fridge, you can often see a guest pondering over its white doors with a dreamy look on his or her face. Everyone will want to become a poet, and children will be no exclusion! 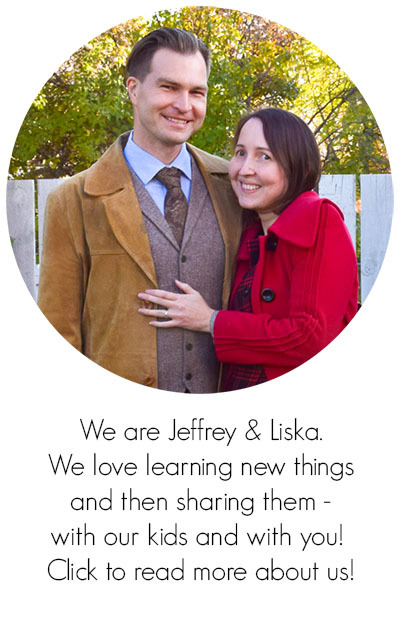 While the original kit offers few romantically-themed words, there are several versions that are primarily geared towards the younger audience. Magnetic Poetry: Kid Genius is fun for children who are eager to learn new words as it offers double-sided magnets with synonyms written on different sides (happy – jubilant, dog – canine). Magnetic Poetry First Words can be given to preschoolers and kindergartners who are learning to read. We love making haikus with our kit. Here are two little humorous poems we dedicated to our son when he was three months old! – Wise and Otherwise (recommended age 10+) is an interesting study of folklore that will let children gain some wisdom from different cultures. 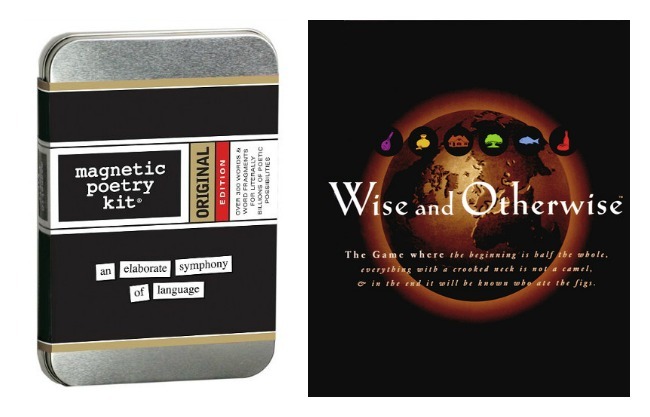 The creators of the game gathered proverbs from around the world and removed the second half of them. The players need to write their suggested endings in secret, then listen to all the variants. One of them will be the real ending, and those who guess it win the round. What would be your variant? Well, the right answer is “a stone”. 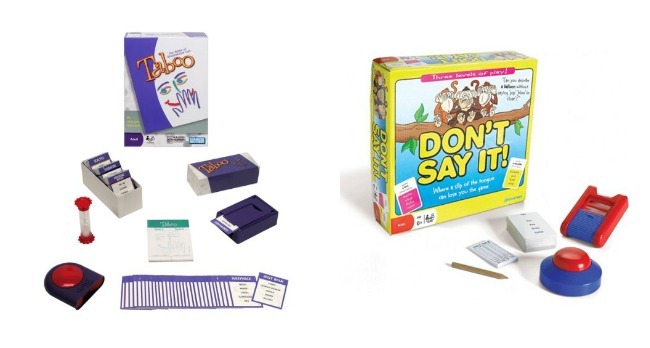 – Taboo or Don’t Say It Game (recommended age 10+ for Taboo and 7+ for Don’t Say It): I put these two games together because they have the same rules, but Taboo uses “bigger” words and is better for expanding vocabulary, while Don’t Say It is kid-oriented. Can you explain “chicken” without using the words “feathers”, “egg”, or “coop”? It is a lot of fun to try and hear your partner’s guesses. While this is a team game, it is easy to change the rules and play with two people. – Scattergories (recommended age 7+ to 10+ depending on the edition) will appeal to kids who like making lists. I sure did. Why, I still do! There are thirty two cards in this game, featuring twelve categories each. 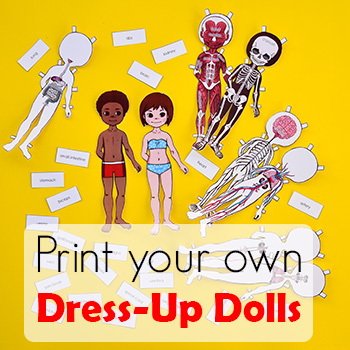 Categories can include “Girl’s names”, “Thing that goes”, “School subject”, “Famous athletes”, or “Halloween costume ideas”. First, you choose your card, then roll a 26-sided die and to find out which letter all of the words in your categories should start with. A girl’s name: Hannah. Thing that goes: helicopter. School subject: history. Famous athlete: argh, I do not know any! Is Hercules an athlete?.. You have a limited time frame, and if your idea repeats someone else’s, none of you will get points, so in this game you need to be both fast and original with choosing the right words. 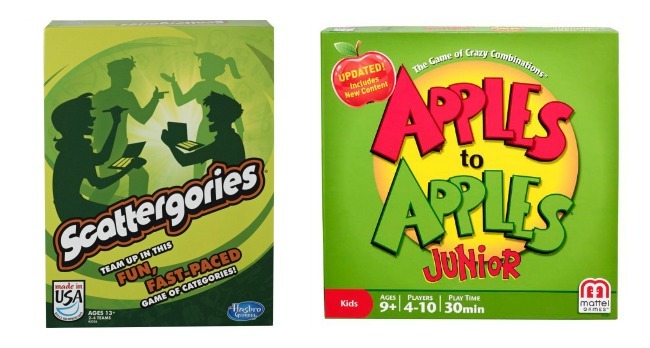 – Apples to Apples (recommended age 7+ to 12+ depending on the edition) sports several editions: kids, junior and original, and the difficulty of vocabulary changes accordingly. As the original edition deals with topics that children do not have experience with (from first kisses to presidential elections), it is probably advisable to get the junior version for family playing. All the players are dealt red cards with nouns written on them, and there is a big stack of green cards with adjectives, left in the centre of the table. One by one, players take an adjective card, name it and wait for other people’s suggestions. Let’s say the chosen adjective is “magical”, and in my cards I see “x-rays”, “flip flops”, “Statue of Liberty”, “brains”, and “Spiderman”. Not a huge choice, really. I would probably go for “x-rays” because their work is like magic to me. 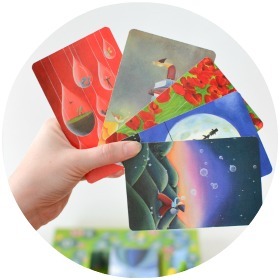 The person who picked up the adjective card collects suggestions from all the players and then makes his choice of what seems most magical to him. This game helps players to learn new things about each other. As each noun has a funny explanation written on the card and all the adjectives have synonyms that are usually read aloud, it is also an excellent game for building vocabulary. What are your family’s favourite board and card games? Wow, I had only heard of a few of these…I am going to pin for later. I know I will be looking to purchase a few board games for gifts and it is good to have a unique list to use. I consider myself pretty game savvy, but many of these are new to me! I love Story Cubes, though! Dixit is my favourite, and that must show since I put it first. :) But I love all storytelling games – after playing with many friends’ and relatives’ children, I am looking forward to playing with my son when he is older. Love this list, thanks so much for pulling it together! Until I had a child, I disliked board and card games because all I was familiar with was Monopoly, Candyland, etc. There are so many interesting and creative choices out there now. Oh, I LOVE board games and made sure my kids always had plenty to play. Now at ages 25, 27, 29 and 31 and all married, we still play board games. I love board games. Our family played all sorts of games from board games to cards to dominoes. My son enjoys playing games too. I haven’t heard of some of the these games so I will be checking them out for sure. these look really interesting, many are new to me. Thanks!